There’s one motorcyclist whose name is guaranteed a mention every time motorsport graces Mount Panorama, and that’s Arthur Ronald ‘Jack’ Forrest. In an age of rampant motorsport commercialism, and more than a decade after motorcycles last raced at Mount Panorama, the circuit still has Forrest’s Elbow. Equally surprising is that Forrest was not a household name in road racing at the time, though he’d go on to become a Bathurst legend. Forrest crashed his Norton International during official practice for the October 1947 Bathurst meeting and ground the end off his elbow. The tight left-hand corner already had the name Elbow, but Harry Hinton Snr nicknamed it in recognition of Forrest and the label stuck. 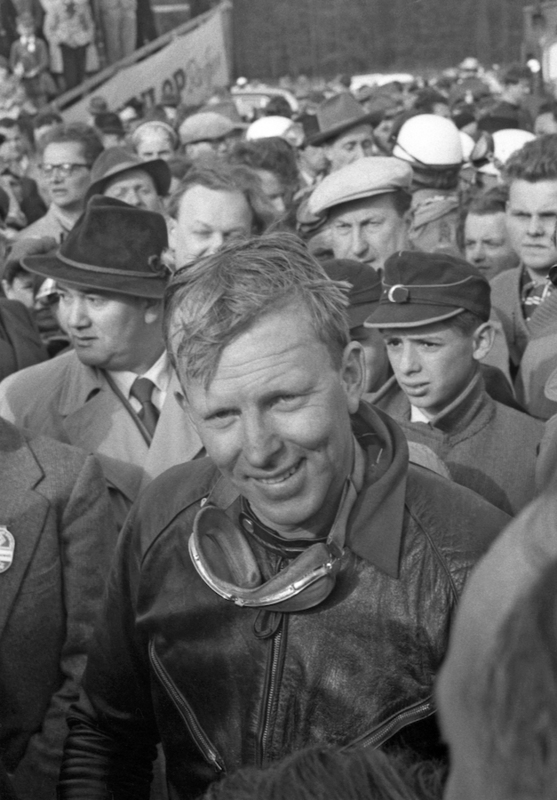 Like many of the immediate post-war generation of racers, Forrest didn’t take up road racing until his mid-20s, after a wartime stint as an RAAF engine fitter. He was 31 before he won his first Australian title and 35 before he went to Europe. His first major win was the 1951 Australian TT at Lowood airbase in Queensland on a ‘garden gate’ Manx Norton 500. A petrol leak put him down the road while comfortably leading the Unlimited TT on a Vincent. Three years later, Forrest shared a BMW 600 with Don Flynn and Len Roberts to win the first of two 24-hour races at Mt Druitt. Jack Ahearne & Jack Forrest. When Forrest went to Europe in 1955, BMW offered him a Rennsport 500 on the strength of that 24-hour victory. He debuted the machine in the Imola Gold Cup and reckoned his hearing was never the same after chasing a factory four-cylinder Gilera for 160km to finish fifth. Second place in the 500 race at Dieburg, and wins in minor German meetings saw Forrest offered an NSU Sportmax 250, but he crashed it on only his fourth official lap of practice at the Isle of Man. What Forrest neglected to mention was that he rode the BMW to fourth place in the last solo race ever held at the treacherous Schotten circuit, and the NSU to eighth place in the Dutch 250 TT. Forrest won the Australian 250 TT at Southport in October 1955. He finally won Bathurst at Easter 1956. In fact, he scored a double, winning the NSW 250 TT on the NSU and, riding with a broken ankle and failing brakes, the 500 TT on a Rennsport BMW that Tony McAlpine had brought back from Europe. Forrest rode his NSU and a BMW to take the 250/500 double in the January 1957 Australian GP at Bandiana army base near Albury and shared a new Bathurst lap record with Jack Ahearn at Easter 1957. In September that year, at Coonabarabran, Forrest rode the BMW to an Australian motorcycle speed record of 149mph (239.8km/h), a mark not bettered until 1973. He returned to Europe in 1958 and briefly in 1960, at age 40. New Zealnder Peter Pawson told of Forrest taking several young German women for a ride down a back-country road in his Ford Thunderbird. He might have forgotten for a moment that he had his motorcycles hitched behind, because he upended the trailer. The wives of Australia’s 1950s racers remembered Forrest as ‘Debonair Jack’ – always well presented and usually with an attractive woman at his side. Indeed, Forrest cut a dashing figure both on and off the track. He is a reminder of the richness of Australian motorcycle racing of the day, with top racers who could turn heads in any company. Forrest was a successful motorcycle and car dealer, using the skills he learned from his father, who traded horses for a living. Over the years he owned some great cars and bikes, and spent his retirement on the New South Wales South Coast restoring motorcycles. Racing contemporaries recalled Forrest as having great generosity and a genuine willingness to help fellow racers, while at heart being a rather private person. 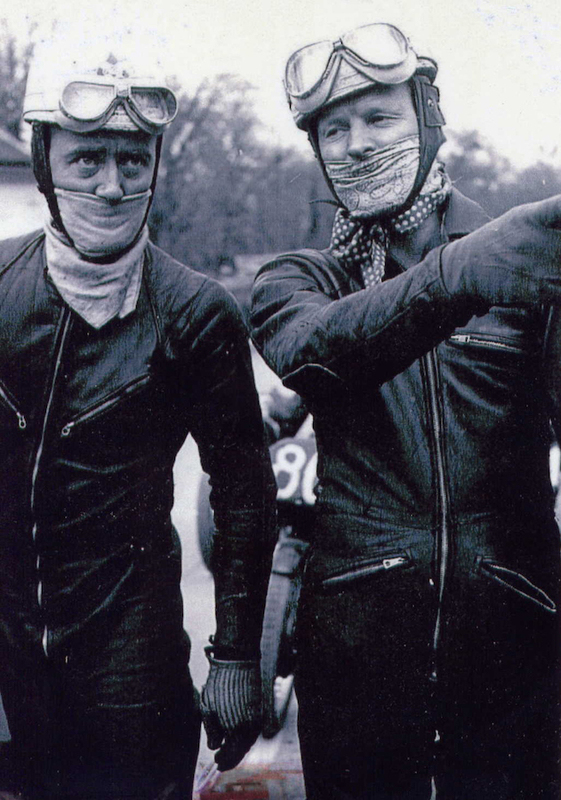 He bought machines for other racers, including Jack Ahearn when they first went to Europe, helped racing partner Don Flynn establish a business, and was the first to put his hand in his pocket for a funeral fund. Jack Forrest was diagnosed with throat cancer in 1998, depriving him of the trip of a lifetime to the Centennial Classic TT at Assen.